(MENAFN - Daily News Egypt) The International Federation of Film Archives (FIAF), the largest and most important global network of cinematheques and film archives around the world, presented on 11 April its 2019 FIAF award to the legendary French-Swiss filmmaker Jean-Luc Godard during a special ceremony in Lausanne, Switzerland. The honouring ceremony took place at the Casino de Montbenon, home of the Cinémathèque suisse, where the worldwide film preservation community has gathered this week on the occasion of FIAF's 75th annual congress. Godard dedicated the award to the memory of Iris Barry (1895-1969), the first curator of the Museum of Modern Art Film Library in New York from 1935, and one of the founders of the FIAF. Since 2001, when the inaugural FIAF award was presented to Martin Scorsese for his groundbreaking advocacy for the cause of film preservation, FIAF has bestowed its annual award to celebrate a film personality external to the archival world, whose experience and personal commitment to cinema underlines FIAF's missions. Past recipients of the FIAF award included Ingmar Bergman (2003), Mike Leigh (2005), Hou Hsiao-hsien (2006), Peter Bogdanovich (2007), Agnès Varda (2013), Jean-Pierre and Luc Dardenne (2016), and Christopher Nolan (2017). Last year's FIAF award was presented to Thai filmmaker Apichatpong Weerasethakul at the Thai Film Archive in Bangkok. The recipient of the FIAF award is selected by the FIAF Executive Committee from a short-list of nominations submitted by staff members of all FIAF-affiliated archives around the world. 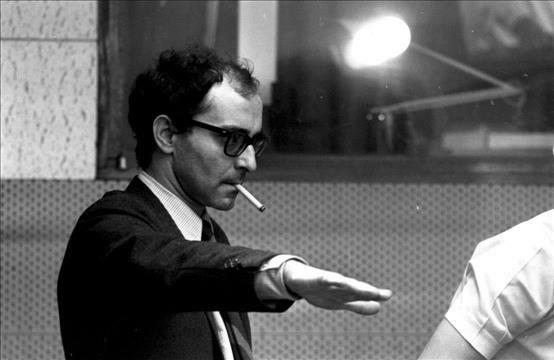 Born in 1930 in Paris, holding dual French and Swiss citizenship, Godard is one of the world's leading film directors and one of the last living exponents of the French Nouvelle Vague. Throughout his career, he has experimented with new ways of telling stories and making films that have influenced many younger filmmakers. 'Godard has also been always greatly interested in filming techniques, from light cameras to state-of-the-art digital equipment, helping to develop new 35mm small, light cameras with Jean-Pierre Beauviala and experimenting with 3D (in Adieu au langage) and 7.1 sound (in Le Livre d'image). In the early 1970s. he was also one of the first French filmmakers, together with Carole Roussopoulos, to explore the possibilities of the portable Sony video system,' he added. 'Returning to his homeland Switzerland in the mid-seventies, living not far from Lausanne, he reconnected with the Cinémathèque suisse and its director, Freddy Buache. Some of his films from the 1980s onwards were shot in part in the premises and/or with the support of the Cinémathèque suisse. He has always supported the Cinémathèque when needed, and directed the much-vaunted short film lettre à freddy buache when asked to make a film about the city of Lausanne. Last but not least, he was one of the main guests at the 1979 FIAF Congress in Lausanne, which celebrated the 50th anniversary of the famous Congress of Independent Film-makers of La Sarraz. Through his work, he has consistently shown great interest and concern for the work, missions and goals of film archives, and for all these reasons, we think that he deserves to be rewarded by our community, and this third FIAF congress held in Lausanne is the ideal occasion for this," Maire concluded. Most of Godard's work relates to film history and pays tribute to its classics, as with Fritz Lang directing the film within the film in Le Mépris or Samuel Fuller's cameo in Pierrot le Fou. He devoted his acclaimed Histoire(s) du cinéma series to it, as well as his latest film, 2018's Le Livre d'image, which won a Special Palme d'Or in Cannes. FIAF is a global organisation dedicated to the preservation of, and access to, the world's film heritage. Founded in June 1938 with four members (the British Film Institute in London, the Cinémathèque française in Paris, MoMA in New York, and the Reichsfilmarchiv in Berlin), as of 2018 FIAF brings together 166 institutions in 75 countries – reflecting the growth of film heritage as a worldwide concern. FIAF fosters solidarity, exchange, and cooperation between the most prominent cinematheques and film archives worldwide. FIAF's mission comprises the rescue, collection, preservation, screening, and promotion of films, which are valued both as works of art, culture, and historical documents.